In his long life, Sophocles (born ca. 496 B.C., died after 413) wrote more than one hundred plays. Of these, seven complete tragedies remain, among them the famed Oedipus Rex and Oedipus at Colonus. In Antigone, he reveals the fate that befalls the children of Oedipus. 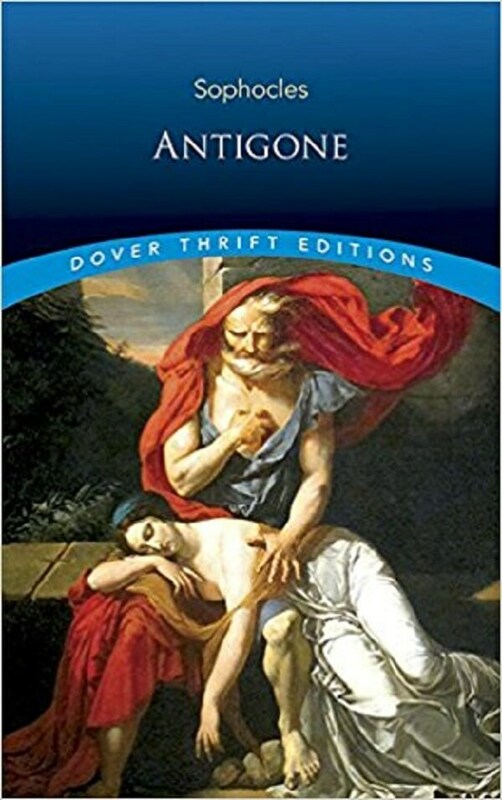 With its passionate speeches and sensitive probing of moral and philosophical issues, this powerful drama enthralled its first Athenian audiences and won great honors for Sophocles. The setting of the play is Thebes. Polynices, son of Oedipus, has led a rebellious army against his brother, Eteocles, ruler of Thebes. Both have died in single combat. When Creon, their uncle, assumes rule, he commands that the body of the rebel Polynices be left unburied and unmourned, and warns that anyone who tampers with his decree will be put to death. Antigone, sister of Polynices, defies Creon's order and buries her brother, claiming that she honors first the laws of the gods. Enraged, Creon condemns her to be sealed in a cave and left to die. How the gods take their revenge on Creon provides the gripping denouement to this compelling tragedy, which remains today one of the most frequently performed of classical Greek dramas.